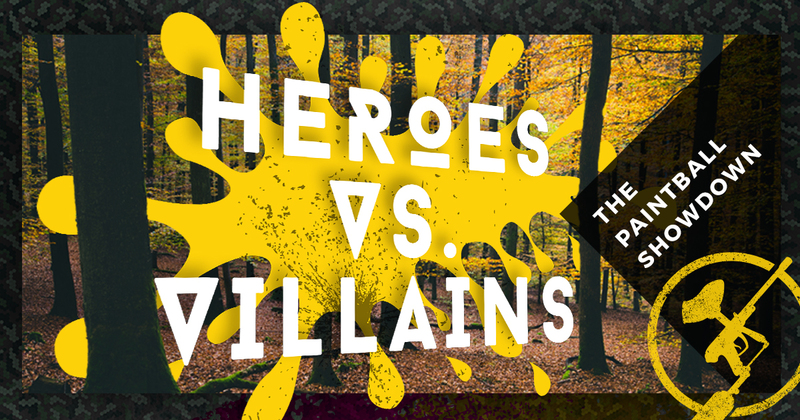 Who Would Win This Heroes vs. Villains Fantasy Paintball Face-Off? History is littered with brilliant battles and crushing contests. Ever since early modern humans first etched written words onto the walls of their rudimentary cave dwellings, records have been kept of thrilling encounters between famous enemies. The Greeks gave us Zeus versus the Titans, while the Bible saw David take down Goliath in the most unlikely of matches. More modern day storytellers have put the Jedi up against the Sith, seen Batman take on Superman, and pitted Arnie against just about every nightmarish creature you can imagine, from a psychopathic robot of the future to an invisible alien hunter. The latest Captain America movie placed one set of Marvel Superheroes against another, which got us thinking – what if we put a team of heroes against a team of villains in a paintball battlefield? Who would win? So we could see Game of Thrones’ Hodor fighting side-by-side with Ripley from Aliens, against a team of villains led by Boba Fett and the Joker in a Black Ops-style battle – who would get the biggest killstreak, and would any zombies be released to add to the mayhem? This is a something we’ve given some serious consideration to, and we still can’t come up with a definitive answer – so it’s over to you! Below are two teams, made up of the good, the bad, and the plain ugly of pop culture. All you have to do is decide who you think would have the upper hand and let us know in the poll. *PRO TIP* When you hover over / tap on the image below, you can click / tap on the black and white dots next to each character image to bring up more details about them!